This morning the restaurant above which we train yoga have their monthly cleaning. No surprise there and we had planned accordingly. We did our morning yoga out on the beach instead. 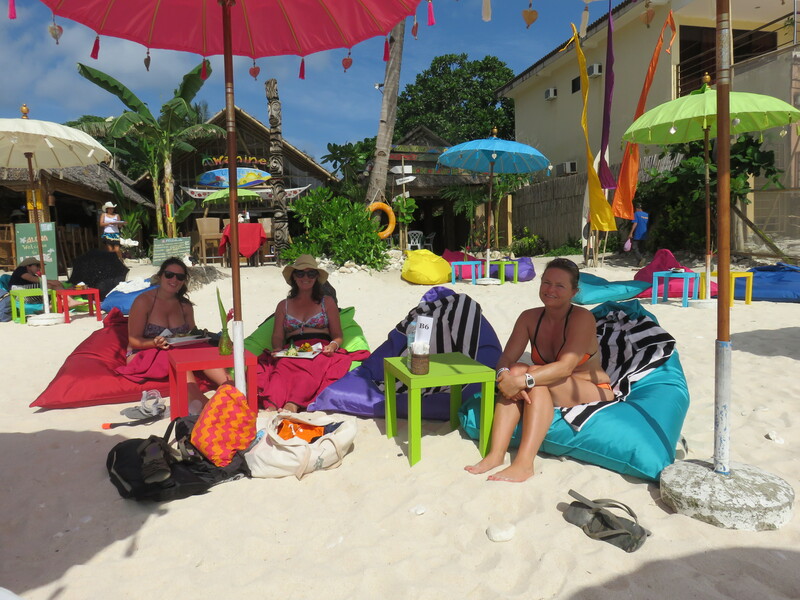 We had talked with the instructors and got permission to take some yoga mats out on the beach. We still have the big blue blanket we bought on Lombok and that was wide enough to accommodate three yoga mats. Jenna, as presented in yesterday’s post, is a yoga teacher also and gave a class with focus on hip opening. I must say that there is not that long ago that I would oppose being seen on a beach doing yoga in the morning. Or afternoon for that matter. I have grown into the art and feel less insecure (as I express it, instead of more secure…) when doing it and don’t really care who watches. We had a great class and if anything in the world needs more opening its my hips. They’re high on that list together with my hamstrings. After closing our class with a chant of Om we went by the coffee shop on the way back to the hotel. We had all four booked us on a snorkeling tour and would be picked up at our hotel. This place is really living of tourism, and only that. So the bookings and organizing works very smoothly. We met our guide at the hotel and from there to the boat was smooth sailing. We had to wear life vests because of the coastguard. Not because it’s smart, but because of the coastguard. 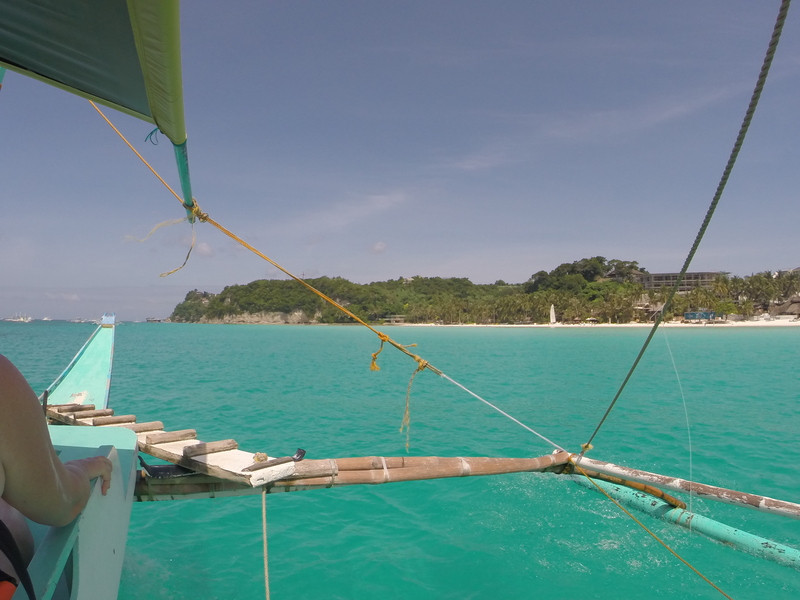 We went up through all of White Beach up to the very end where Shangri La resort resides. This place is über high end and costs 40.000 pesos per night. Something like 1000 USD. A bit out of our price range. From the end of the beach we went to tour first snorkeling site. The guys on board had brought bread, and that makes for good fish watching. This time I remembered the GoPro and we got som good pictures. After a while in the water we moved on the the next site near Crocodile island. The poctures don’t do the island justice. It really looks like a giant crocodile in the water. Here we found even more fish at it was more shallow water. It was a lot of current here, but Katja managed a lot better than on Coral Bay, probably because I brought the camera. Will it never end with the fish? We sat course towards shore and asked to be dropped off near Spider House. 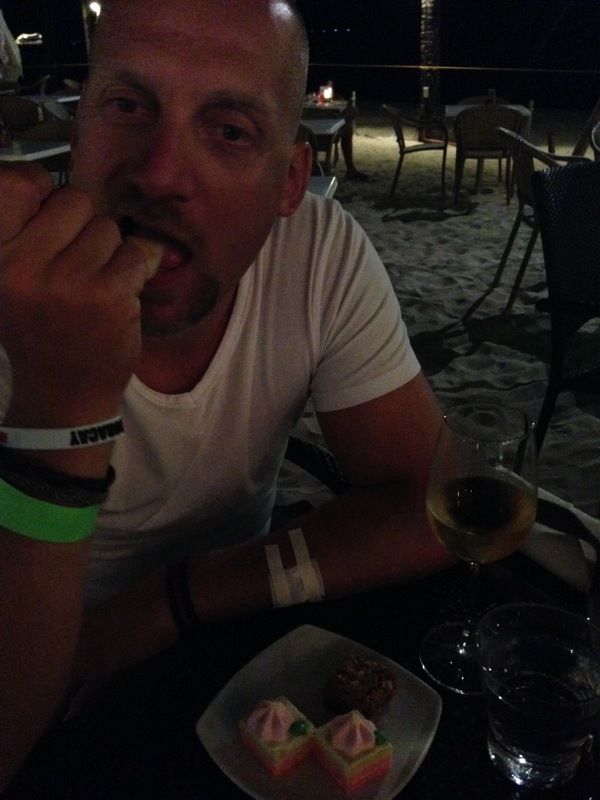 There is a good restaurant there on the beach, and it’s so much more quiet than the main beach. We had a great lunch and enjoyed the sun and good company for a few hours before we walked along the beach back to the hotel. You see why it is called White Beach? We were quite beat from the day in the sun and were uncertain on how to proceed with dinner. Suddenly the hour was near sunset and we got dressed and went out to look. Then we smelled the BBQ from the buffet at Regency hotel. We asked to take a look at the buffet and were pleasantly surprised. It’s the best food we’ve seen around here in a long time. We bought our passes which gave us green wrist bands and enjoyed great food and a bottle of nice cold white wine. Pretty full we tumbled and stumbled back home and to bed. Life is good, and remember: Paradise is only paradise if you’re here! Be safe, have fun and stay frosty! 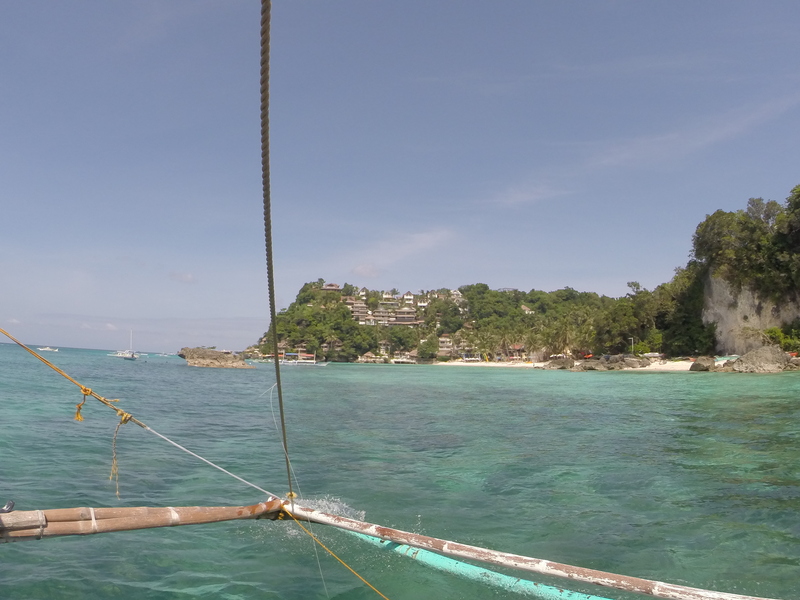 Categories: Philippines | Tags: Beach, Boracay, Philippines, Snorkeling, Yoga | Permalink.